A Close Up Of A Big Hamburger On A Black Plate With A Cold Amber Beer. Banque D'Images Et Photos Libres De Droits. Image 8750272. Banque d'images - A close up of a big hamburger on a black plate with a cold amber beer. 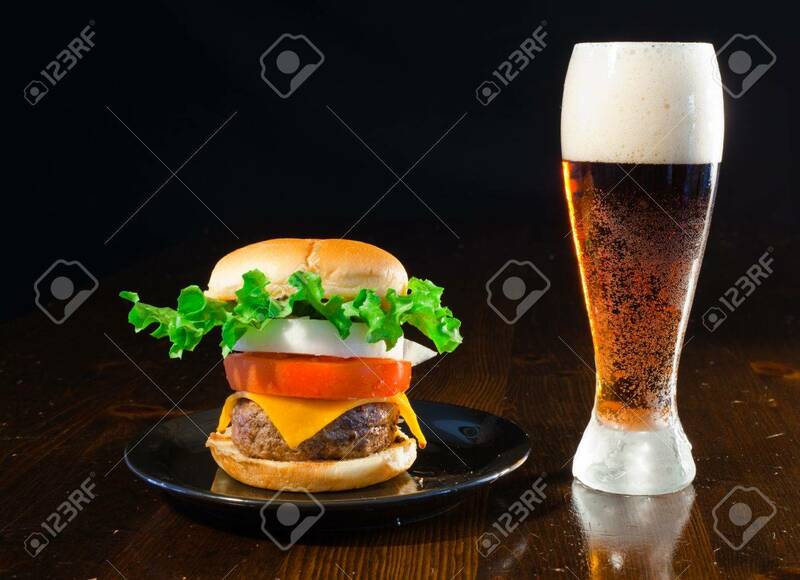 A close up of a big hamburger on a black plate with a cold amber beer.